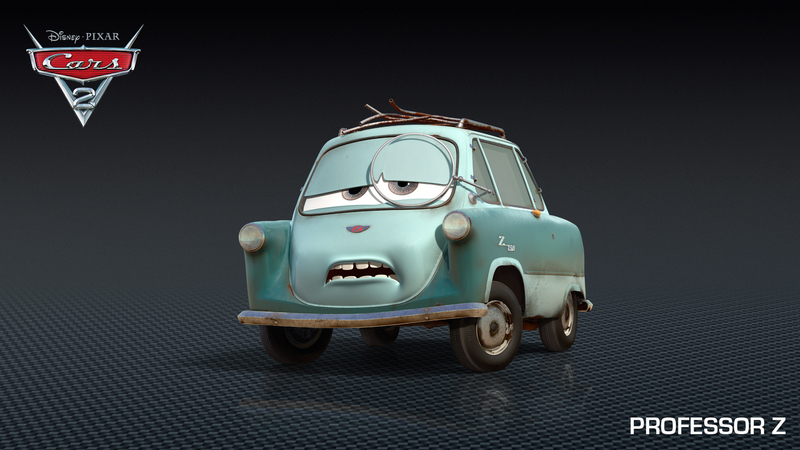 Two additional Cars 2 characters have been revealed today – Professor Z and Tomber! We have seen Professor Z in previous material, in which he comes across as a character with mysterious intentions. However, Tomber is brand new, and puts an interesting twist on the concept of cars – he has only three wheels. Read on for character images and descriptions.